a new exclusive collection, new doorlites, truly something for everybody! At Alumican, each single client receives individual attention. We will see that your every need and desire is met. Because in addition to the tremendous variety of models at your disposal, all our exterior doors unfailingly respond to your expectations of quality, security and energy efficiency. A manufacturer of outstanding-quality steel doors since 1998, Alumican Doors is today a major player in the exterior door market. Come see what’s new for you! Why you must choose your door wisely! Open it, and you’re welcoming. Close it, and you’re safe. Either way, it’s beautiful and lends personality to your home. Alumican Doors has been making outstanding-quality steel doors since 1998, offering a wide selection of exterior doors that meet your expectations of quality, security, energy efficiency, and style. From design to choice of materials to manufacture, down to the smallest detail, our doors are made to last a long time. The insulation value of our doors is second to none. Unlike standard models, our doors are equipped with triple (not double) weather stripping, bringing a measurable improvement in protection against air infiltration. Security is our strong point. 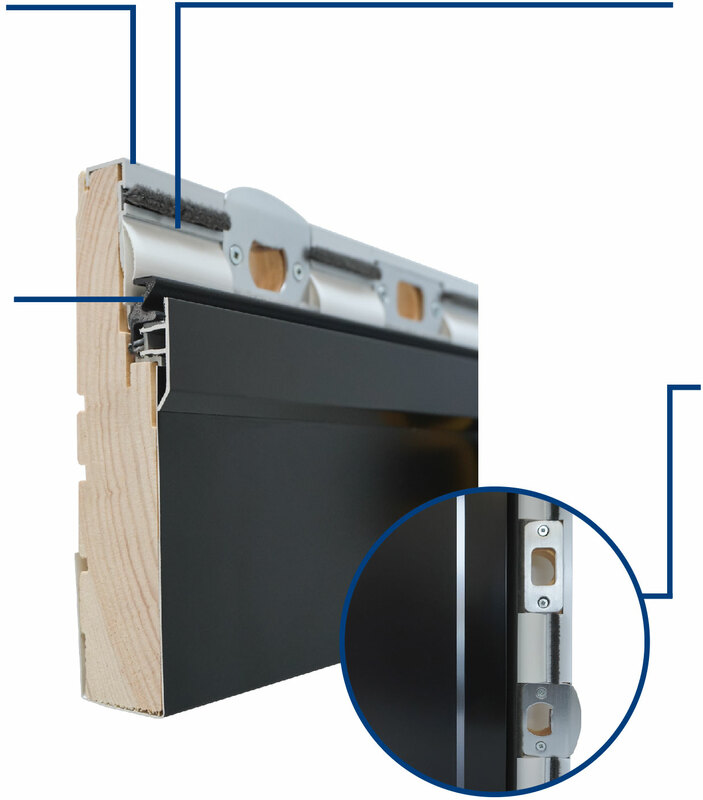 All our doors are reinforced with an exclusive, solid extruded aluminum base. You also have the option of a multi-point locking system. The interior extruded aluminum cladding ensures optimum security. The aluminum on the exterior holds the cladding in place and keeps the jambs in alignment. Triple weather stripping protects against extreme temperatures. In-factory application of locks guarantees a perfect seal and impeccable finish.